26 years ago, in a third-year classroom of a middle school, there was a student named Misaki. As an honors student who was also good at sports, she was popular with her classmates. When she suddenly died, her classmates decided to carry on as if she was still alive until graduation. 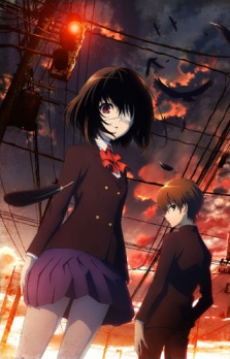 Then, in the spring of 1998, a boy named Sakakibara Kouichi transfers to the class, and he grows suspicious of the fearful atmosphere in that classroom. In particular, there is a beautiful, aloof girl named Mei Misaki who wears an eyepatch and is always alone drawing pictures. A complete failure on almost every level. But hey, the gore's great!